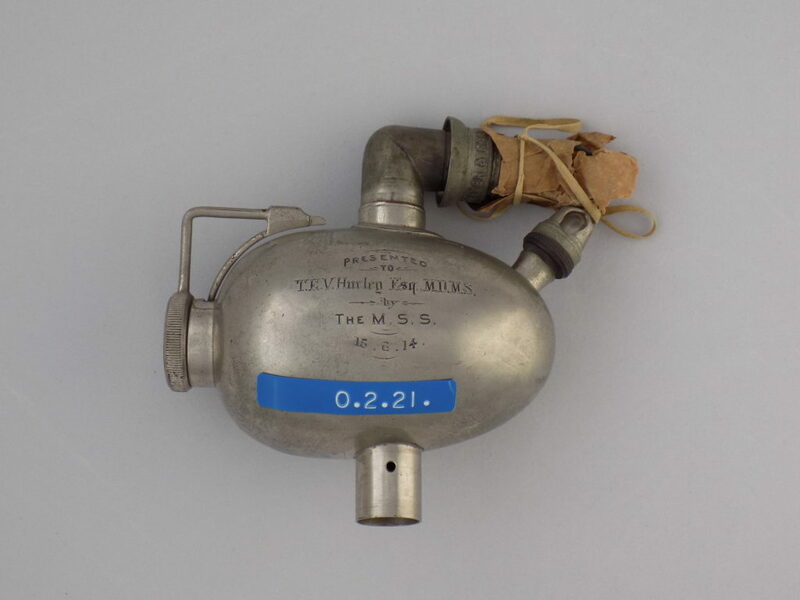 Amber Evangelista worked as a volunteer at the Geoffrey Kaye Museum of Anaesthetic History to undertake a significance statement on a Probyn Williams inhaler. Amber is currently acting Public Programs Curator at the Victoria Police Museum in Melbourne. Amongst the Geoffrey Kaye’s collection of ether inhalers is an early 20th Century Probyn Williams inhaler in a neat, round topped portable box. Although the inhaler itself is not particularly rare, its owner was a remarkable man. We know a little about the history of this particular object, but research has uncovered just how significant it may be. As a volunteer for the Geoffrey Kaye Museum, I’ve spent time rummaging through archives to complete research for a full significance assessment for the inhaler. In doing so, the story of its former owner has unraveled. The inhaler is encased in its own portable, personalised box with the initials T.E.V.H. printed on the front in gold leaf lettering. 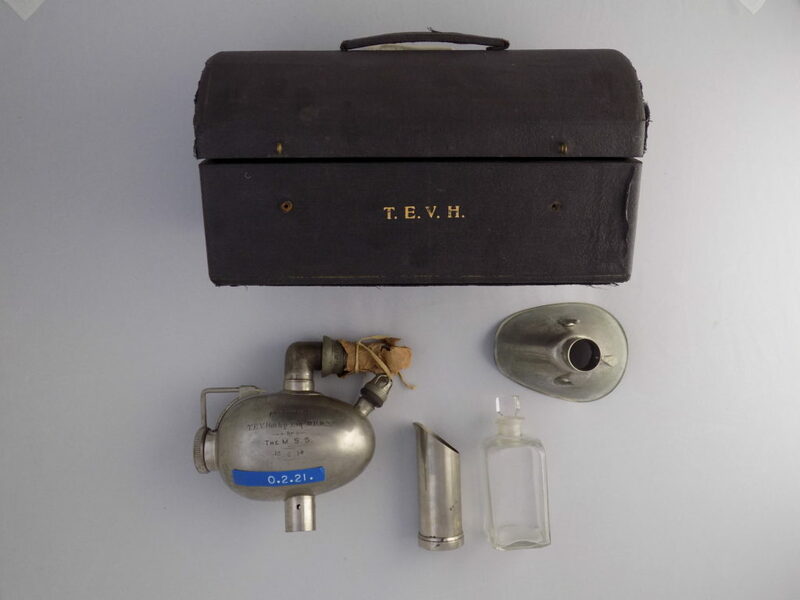 Carefully stowed inside the box’s compartments are a pear-shaped metal mask, a metal measure for pouring ether, a square glass ether bottle and the inhaler apparatus itself. The initials on the front of the box and this engraving have given us the identity of the owner: one Sir Thomas Ernest Victor Hurley. Sir Thomas Ernest Victor Hurley, KBE, CMG, CB, was born at the end of the 19th Century to a state school teacher. He quickly proved his academic prowess, gaining entry to the University of Melbourne in 1905. 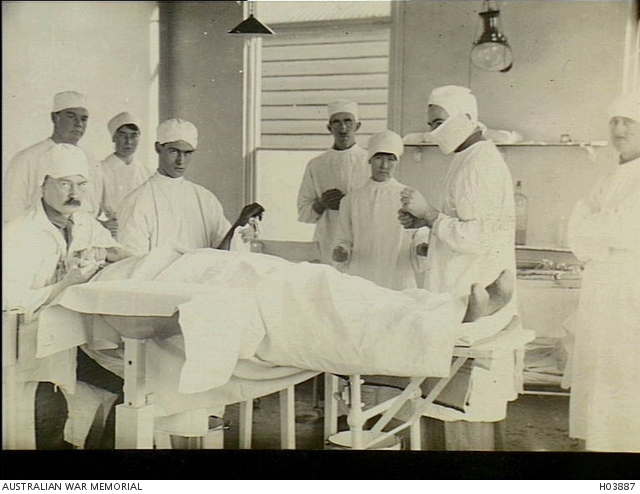 By 1912 Hurley had graduated as a doctor and was appointed as a resident medical officer at the Royal Melbourne Hospital, where he rapidly ascended the ranks. He soon established his own private practice in Collins St. Throughout his education he had been an active participant in university clubs and associations, including the Medical Students’ Society, and even playing Australian Rules football for the University team. Assuming the date on the inhaler is correct (and with no reason to believe it isn’t), it was gifted to Hurley just before the outbreak of WWI by ‘the M.S.S’: the Medical Students’ Society. At this point in time, a look into the University of Melbourne archives hasn’t revealed any information about the reason for the gift. Instead, more questions have been raised. It’s unclear why an inhaler was the gift of choice for a man who was not an anesthetist: Hurley was an honorary outpatient surgeon and medical superintendent with no apparent particular professional interest in anaesthesia, and therefore would have had little use for an ether inhaler. 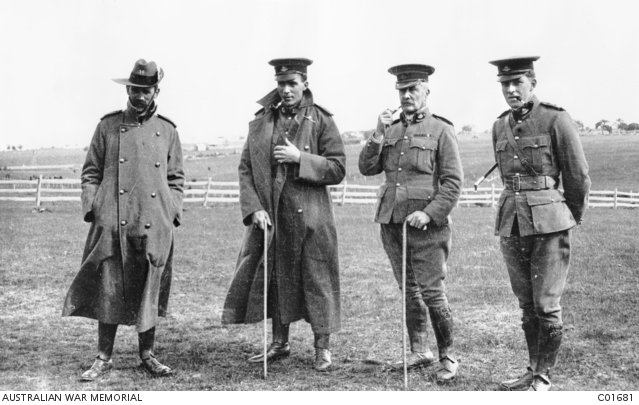 Just one month after receiving the inhaler, Hurley joined the war efforts and was appointed a captain with the Australian Army Medical Corps. After only two months, Hurley shipped out to Egypt, then to Gallipoli. There, he served with the 2nd Field Ambulance for six months, before being promoted to temporary lieutenant colonel in March 1916. Hurley’s skill and work ethic were quickly noticed. In London, working at the AIF headquarters, Hurley was made a Companion of the Order of St Michael and St George (CMG) for his work with the Australian Army Medical Corps. Remaining in the UK after the war, Hurley completed a fellowship with the Royal College of Surgeons. (FRCS) It was the beginning of a long list of associations Hurley was to form throughout his career. Upon his return to Melbourne, Hurley was appointed to the University of Melbourne as lecturer and examiner in surgery, and became the founding secretary of the Surgical Association in Melbourne. The esteem his peers had displayed for him, engraved on the side of the 1914 inhaler, would only continue to grow as his career quickly advanced. In World War II, Hurley chaired the Flying Personnel Research Committee for the RAAF, and was instrumental in establishing rehabilitation centres for air-crews, as well as medical air evacuation transports in the pacific. Not even two world wars could break Hurley’s stride. 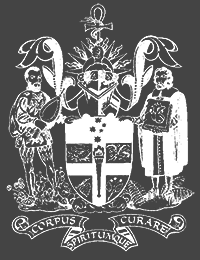 Over the next decades Hurley held many prestigious postings, including Surgeon to the Victoria Police, President of the Victorian branch of the British Medical Association, and founding member of the Royal Australasian College of Surgeons. His colleagues held him in high esteem. Although his methods were ‘orthodox and safe’, and he was not known as a man who would ‘sweep aside well-tried methods’, he was renowned for his organised and efficient work. One colleague, commenting upon his style, noted that ‘[o]ne elegant stroke would sever the skin . . . A few confident blows with the blades, and the most brutish of gall-bladders was ripe for the plucking’. The 1914 inhaler is a tangible link to the impact Hurley had on his profession and peers. The gift, given at the cusp of his career, represents the esteem the professional community had for Hurley. However, there remain more questions than answers about Hurley’s inhaler. Did he ever put it to use? Did he take it overseas with him when he went to war? And why did he gift it to the Geoffrey Kaye Museum? This last question is the one that interests me most. The object, gifted by a prestigious and decorated surgeon, also has the potential to tell us much about how the professional community viewed the museum (then in its very early stages). Once again though, this simply raises more questions. Was the object a treasured memento, gifted to the museum collection to safeguard its preservation and appreciation in the future? Or was it an unwanted but interesting object donated to bolster a burgeoning collection? Until further information is uncovered, we can only speculate.